Matt is a In Home Personal Trainer in St Augustine FL and the local areas. If you're motivated to get healthier and stronger, you've come to the right place. Matt brings with him over 10 years of Personal Training experience and 15 years of Martial Arts experience. Matt was voted Best Personal Trainer in the St. Augustine Record in 2017. 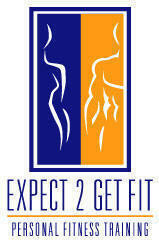 Matt provides clients with the most effective and result-oriented fitness programs for their individual goals. Matt's services include new client evaluations, nutritional counseling, custom training programming and lifestyle coaching. Although he specializes in weight loss and performance enhancement training, Matt has consistently delivered results to clients as young as 6, and to seniors well into their 80's, as well as everyone in between. Matt boasts a long list of satisfied clients and proudly can say absolutely no injuries. All of Matt's clients are happy to give testimonials and speak to Matt's benefit and skill as a trainer. Please contact Matt today for a consultation and lets get you started. Learn more about In home Personal Training in St Augustine FL with Matt. Submit your name, e-mail, address, city and any comments/ questions you might have or call 1-(800) 439 5182.